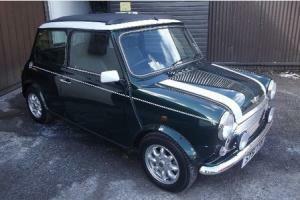 A Mini Cooper has stunned the motor trade industry after it was sold at auction for more than £20,000. The 2001 Mini sold at the Charterhouse classic car auction on Wednesday (16 September) for a staggering £20,160, which is a higher price than a brand new Mini. Despite having two previous owners, the little car had only driven 204 miles and was in almost perfect condition - its first owner had cherished the vehicle so much that he opted to keep it in his study, rather than his garage. Ensuring safe and secure storage for their cars is of paramount importance for collectors and sellers. Car dealerships and garages trading from a set premises will require a motor trade insurance policy to provide financial cover for the vehicles the business stores on site, ensuring they are protected from the risk of damage or theft. When the 2001 Mini Cooper was bought at Charterhouse, the new owner from Somerset chose to take the car away by trailer rather than being driven as he did not want to add any more miles to it, the Western Gazette reported. Matthew Whitney, head of department at Charterhouse, said: "The market for classic cars is very buoyant at present and we are selling cars for clients looking to take advantage of this strong market. "Over the years, we have sold many Mini Coopers at our classic car auctions, but this car was a little more special than some as it had covered just 204 miles from new with two owners and sold for more than the price of a brand new Mini Cooper."